If you have any questions, concerns or comments about your practices, games, or league procedures (which could include player/coach/volunteer issues), please email plymouthpredators@yahoo.com -We do our best to get back to everyone in a timely fashion, however, we are all volunteers who have full-time jobs. Thank you for your understanding and consideration. The Mites 2017 Winter Classic Most Valuable Player awarded to Isaac Son! 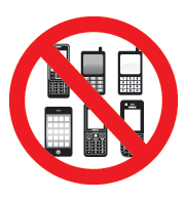 Players, parents & coaches...There are to be NO ELECTRONIC DEVICES (ie. cell phone, iPhone, iPod, tablets, etc) in the locker room at any time! Players found with and/or using electronic devices in the locker room will be subject to game time loss. Need directions to your players away games? Get ready for a good time! Our end of the season banquet will be 4/13/19 at The Common Man Inn from 5-8 pm. ALL PLAYERS EAT FOR FREE!!!!! The cost will be $30 per adult and $15 per non-player child. Payments will be accepted at the door. Please email plymouthpredators@yahoo.com to reserve your spot and let us know how many people will be attending!!! to our Squirt 1 team for winning the Tier 4 State Tournament!!!!!! Plymouth Predator Board Meetings are held every 2nd Tuesday of the month at the rink (unless otherwise posted). We welcome you to attend the Public Sessions (6- 6:30pm). 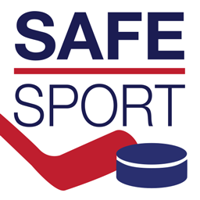 The USA Hockey SafeSport Program is the online training/education that is available to help our members become aware of the information necessary to help prevent abuse from occurring in our sport. All USA Hockey registered coaches, officials, employees and volunteers are entitled to take the training at no cost. Our SafeSport Coordinator is Matt Custance and he can be reach at mwcustance@gmail.com. The season of inclement weather is fast approaching and with that the questions of practices and games. When and if practices or games are cancelled we will notify you via our website, Facebook, email or directly by your coach...maybe all of the above. As a parent/guardian, it is your decision to travel. If the choice is to stay put and stay safe, please notify your coach so that your player is accounted for at the start of practice. This will eliminate worry and a phone call to you or your family.